First look at the compass. 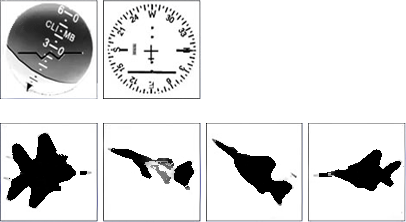 It indicates that the plane is heading to the left (west). The horizon indicates the aircraft is climbing, because the aircraft symbol is above the horizon line. Finally the plane is banking to the left (opposite of horizon) So, the correct answer is B . To start a pilot test choose a difficulty level below.